I want to hear your feedback, suggestions and ideas about our work and future projects, and gather additional support for the services that SikhNet is blessed to be able to provide around the world. There’s a lot of insanity in the world right now, and it’s more important than ever to help people connect to Sikhi and the teachings of our Gurus in the context of their own lives. On this trip I will also be fundraising for some of our exciting new projects that I will love to share with you. I look forward to this golden opportunity to get to know one another and talk about how we can best serve our worldwide Sangat together. Can you join us? There is limited space at the people's homes who are hosting, and because we want to keep things cozy, so please be so kind as to RSVP as soon as possible so we can finalize our plans. We have two cozy opportunities to meet! You and your immediate family and friends are invited! 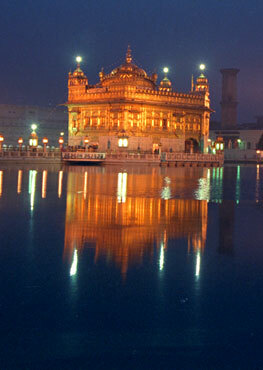 I am looking forward to the opportunity to express our gratitude to you as a SikhNet supporter and meet YOU.